QUIZLET is an online learning tool that helps students learn new vocabulary. you can make 6 different exercises from only ONE study set. 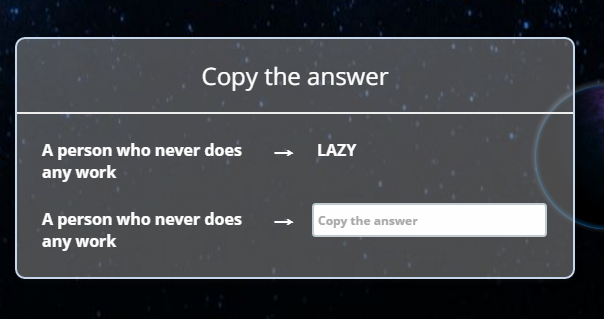 First of all, go to https://quizlet.com/. Then, click on SIGN UP in the upper right hand corner of the screen. 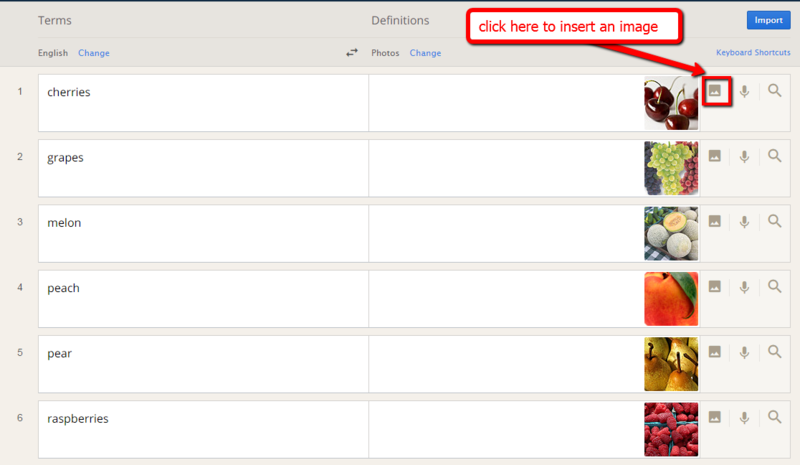 Or just type a definition in the DEFINITIONS column. The first type of exercises are the FLASHCARDS. These are traditional flashcards with a few extra points. The second type of exercise is LEARN. In this part students check how many words presented in the FLASHCARDS part they remember. They can hear/read the definition or see an image and write the correct term. It prompts you with the front or back of the flashcards you made. Again, mistakes are dealt with in such a way that students can really learn how to spell. Namely, if a student makes a mistake, the app automatically spells the correct version and shows the student where they made a mistake. After it has shown you how to do it, the option TRY AGAIN FOR PRACTICE appears and they can do it again. And now, it’s the testing time! 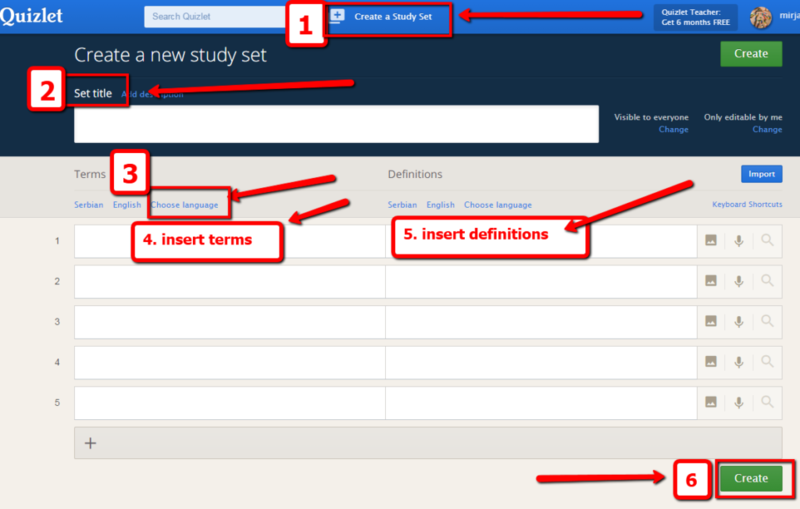 QUIZLET automatically generates a test using the terms and definitions from the study set. The test has 6 questions max. It also has four questions types. You can customize both options to suit your needs. This is a race against the clock to match the terms with their definitions or images. Another game where your terms are crashing down as asteroids. This time, you are protecting the planets by typing correct definitions to move up in levels from planet to planet. As you move up the levels gravity increases and the terms fall faster and faster. If you get a term wrong it will come back next time as a red asteroid. In case you get a red asteroid wrong, the game is over. My students love this game and it comes as a prize at the end of hard work. Last two activities in QUIZLET are a good example of gamification , which basically motivates them to continue with learning. I would like, once again, to emphasize how QUIZLET is easy to use. Directions on the website are clear and concise and you don’t have to be computer savvy to make your study sets and to offer your students a new and interesting way of learning vocabulary. 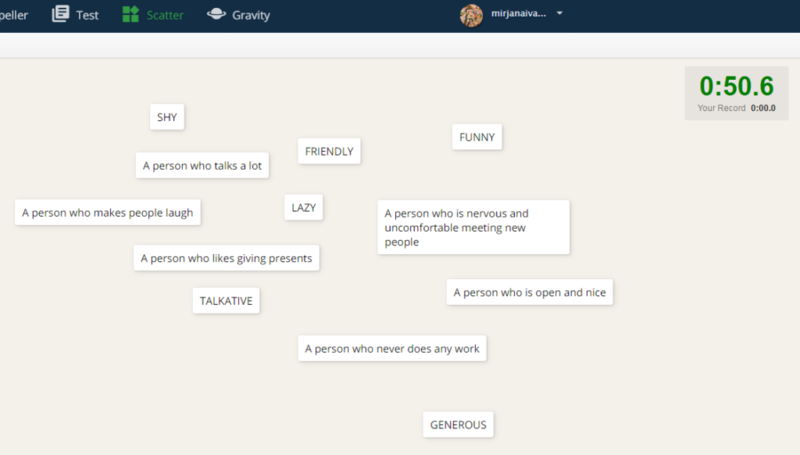 Furthermore, there is no context to the words – QUIZLET practices only TERMS, but there is no practical use of the words and phrases. There is no context. So, when your students are done with a study set you prepared, it doesn’t mean that they can use the presented vocabulary in context. They should be able to recognize the words when they see them. But, you should now organize practical tasks and exercises where they will try to use these words in context. 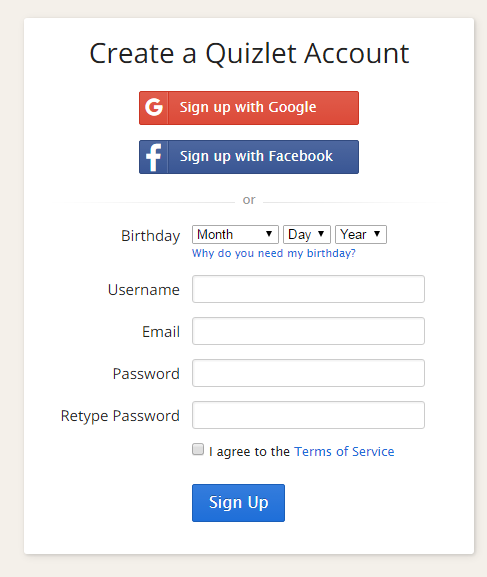 As I mentioned at the beginning, this online learning tool is FREE, but you can UPGRADE to “QUIZLET teacher” for only $25 / year.